Time to hit the refresh button and look forward to Spring 2018. At The Welsh Farmhouse Company, we firmly believe that you can’t go wrong with classic lines. If you think a piece is timeless and well made, you’ll wear it forever. We’ve picked some great staples from brands with real heritage such as Barbour, Dubarry and Ilse Jacobsen. Barbour have created a collection for coast and country with a pop of colour for the new season. Staples such as the Barbour Beadnell Wax Jacket mixed with down quilts and layered cotton knits and casual tops. 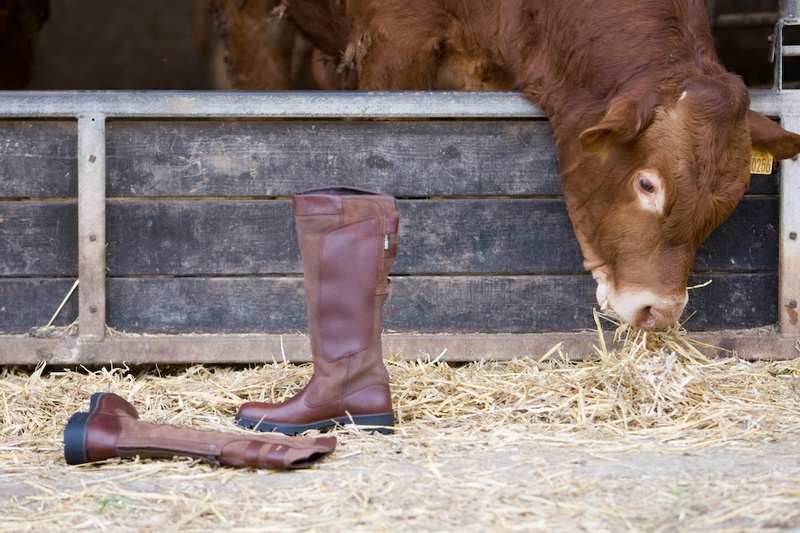 Dubarry are renowned for their luxurious range of goretex lined boots for town and country. Their heritage in sailing footwear has enabled them to create a wide range of deck shoes and footwear for spring and summer. We’ve only recently started working with Ilse Jacobsen from Denmark who creates a range of outerwear for all weathers which is stylish and fit for purpose. We’re always on the look out for new things to share with you. We’re very excited that we’re stocking luxury scarves from Innouitoosh in Paris. Two creatives are behind this young brand and have a unique approach to their work. Both have in mind a model of life far from the busy streets of Paris. They followed their instincts, leaving the big city and installing themselves in the coastal town of St. Valery-sur-Somme in order to realize their project without concessions.Their office desk faces the bay, whose blue hue reflects their attachment to natural aesthetics.They plunge into the collection as if curating an exhibition; prints are placed intentionally, because each scarf tells a tale in the manner of a painting. Each season, they create a pantheon of icons–Madonna, Tiger, and bison–all coexisting in an undulating, dreamlike universe. They meet at the intersection of storytelling and poetry. We’ll also have some key classic cotton and cashmere pieces from Cove Cashmere. A simple and elegant piece to give your work wardrobe a new luxury feel or for that weekend supper with friends. We will be constantly updating our web site with new products and offers but in the meantime, please call in our shop in Narberth, or pick up the telephone, if you require further assistance. The Welsh Farmhouse Company is based on our rural heritage and our belief in securing a successful future for farmers in the British countryside. We have a desire to create a retail concept which is based on 21st century real country living and to educate UK consumers about the production of predominantly British product ranges. We have assembled friends with a multitude of talents (most of them with a history of big corporate experience) and we have come together with a passion and dynamism that has meant that The Welsh Farmhouse feels more often than not like a cooperative.